A self-guided boardwalk offers a leisurely walk through original growth cypress trees. The more adventuresome can hike approximately 60 miles of trails. 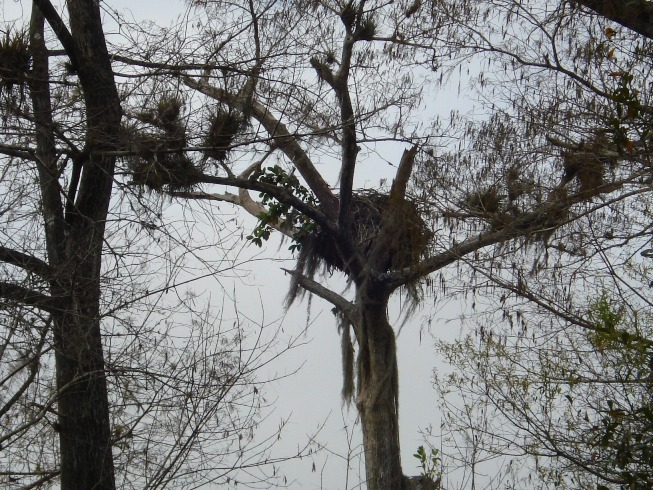 Park staff offer guided swamp walks from Nov. – Feb. 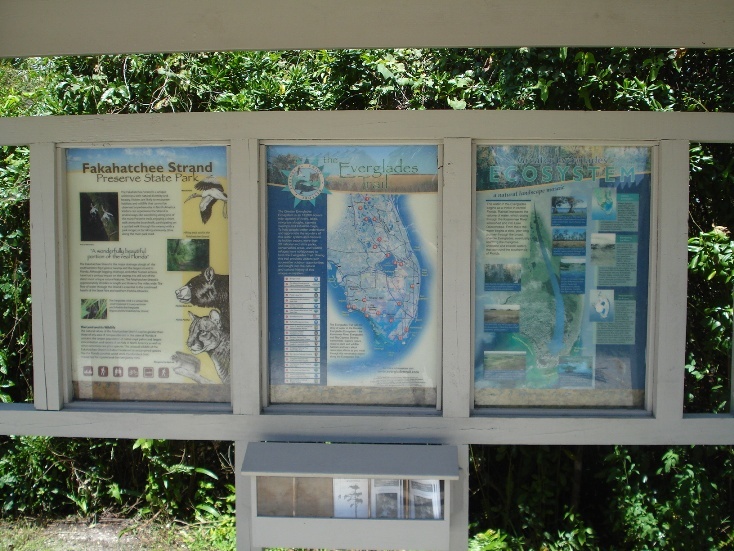 The kiosk is at Big Cypress Bend Boardwalk along highway 41 / Tamiami Trail. 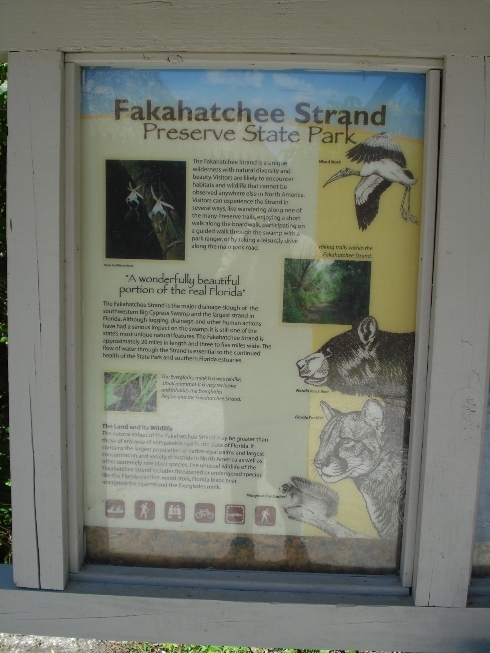 That is a very popular attraction and the best location for it to be in Fakahatchee, as opposed to the ranger station about 10 miles away. 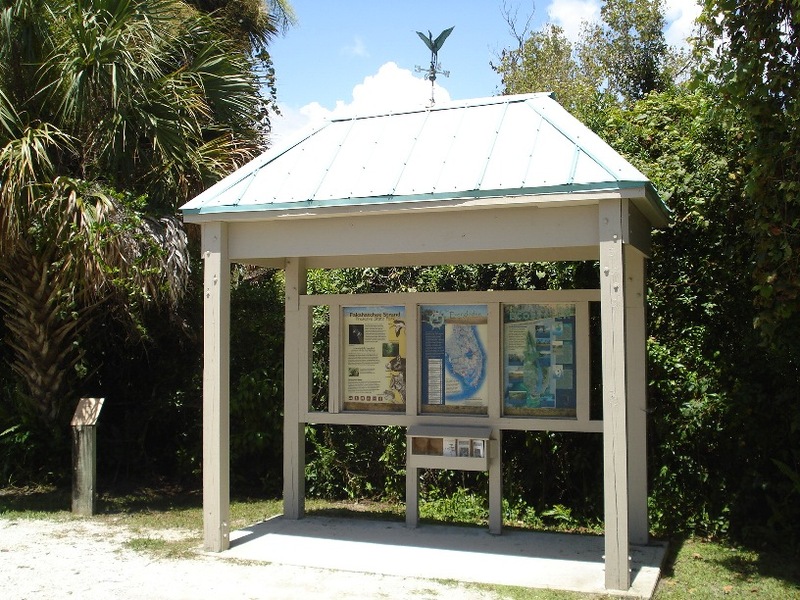 And do not pay attention to the Everglades Trail signs along state road 29, because they point to the ranger station in Copeland, which is 10 miles away from the boardwalk where the kiosk is. This is one of the more nicer looking kiosks, being painted, has the heron weather vane, and the brochure box. It did not have trail brochures, but it did have park brochures. The Fakahatchee Strand is one of the more mysterious parts of the Everglades. It is the largest strand swamp in north America; a strand being a slow moving river in the Everglades. It is a vital artery where water slowly flows south to the Ten Thousand Islands. There is debate on the meaning of the word Fakahatchee, and I propose that it means, "hunter's creek." Other people have said that it means, "muddy river," which is a similar sounding word. But when I look at the water in the strand, it is clear, cool, and beautiful. It is not muddy. In the 1850s during the 3rd Seminole War, soldiers would come up the river to fill barrels of fresh water, and they would not have done it here if it was muddy. Also, this area has been traditionally known as a good hunting area before it became a state preserve. In the early 1900's, most of the virgin pine and cypress trees were logged out of this area. One old, original stand of trees remain along highway 41 at the Big Cypress Bend Boardwalk. 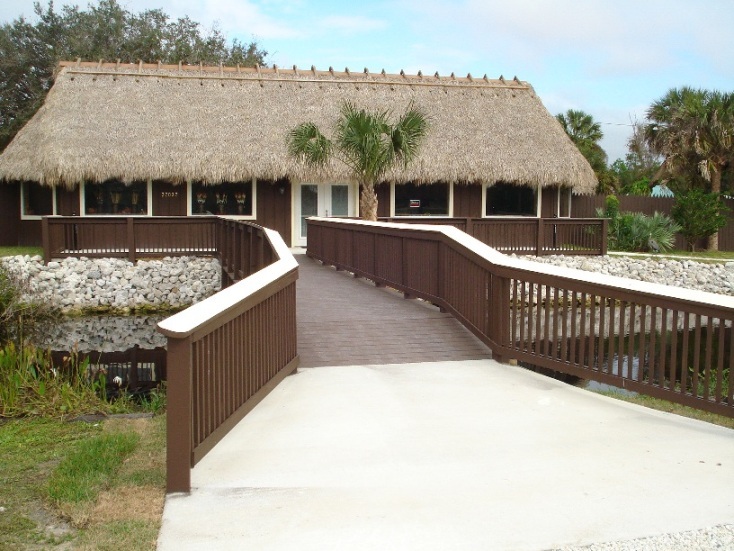 Next door to the kiosk is a Miccosukee Indian village, and their gift shop is worth visiting to see some of the local crafts that are made by the families in the area. It should be noted that the Everglades has a history of people living here for Thousands of years, and it is only in the last 110 years that instead of adapting to life in the Everglades, man has sought to restrict the flow, log out all the big trees, and hunt every animal and fish to the brink of extinction.